Adding to its existing portfolio of airport contracts, Gulf Aviation has secured a contract to provide fuel to Birmingham Airport. The deal significantly bolsters the existing fuel supply chain to the airport and will also include the refuelling of onsite vehicles. 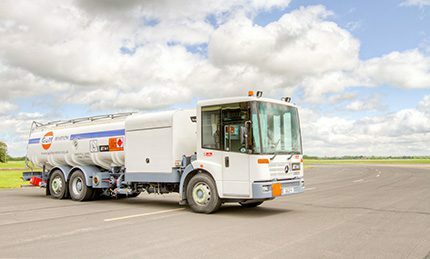 Gulf Aviation – Certas Energy’s aviation brand – will provide a supply of Jet A1 fuel to the airport, which is one of the busiest in the UK, servicing more than 13 million passengers every year. “We’re thrilled to confirm our partnership with Birmingham Airport,” said Alex Murphy, head of Gulf Aviation which has been supplying the UK aviation market for more than eight years. “Gulf Aviation will continue to have strong ties to private and business airfields alongside flying clubs; however, supplying directly to large commercial airports is certainly part of our future growth strategy,” added Alex.